Northern Limit Line was a precious opportunity, says KIM Hak-soon. It is obvious that he has feels overwhelmed after the thirteen years he had spent, ever since the low-budget independent movie A Man Watching Video until the experience of making a big budget 3D commercial movie Northern Limit Line. 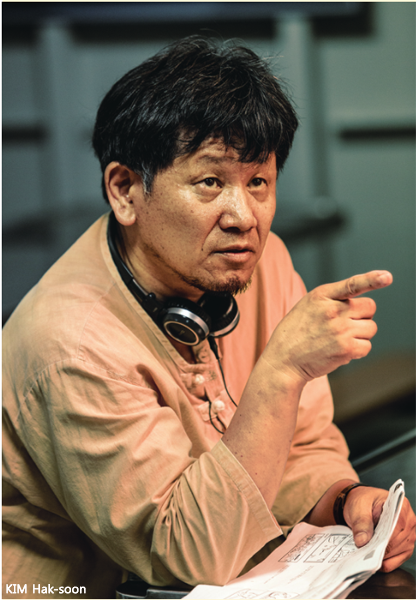 The fullness of his heart may be attributed to his supporters inside and outside film industry, who made it possible for him to make Northern Limit Line, which 6 million audiences watched. some kind of satisfaction. I learned for sure what it is like to mentally communicate with individuals, which is somewhat different from communicating through politics, speeches or books. I also felt proud that I could contribute to this country spiritually and culturally. Money is a different story. All simply, it was a truly great experience for me." For some, Northern Limit Line might have been understood in a form of "patriotism marketing" while for others it could have been a war blockbuster. Only for a few, it was foremost a 3D movie. However, if it were not designed in the 3D format, with the naval battle scene included, Northern Limit Line could have had an extremely tough journey. To be sure, the Korean Film Council (KOFIC)’s support for 3D films was the very first budget that Northern Limit Line had in the beginning. However, production itself was never easy. As widely known, the main cast had to be changed during the shooting, and the shooting schedule was also delayed. It was KIM’s willpower and the nationwide sentimental consensus towards the subject that made it possible to complete the production. That is why it had to get a popular crowd funding, which big budget films rarely need. The full-scale support from the navy and the Ministry of National Defense was another strong pillar for the team, during the production of Northern Limit Line. 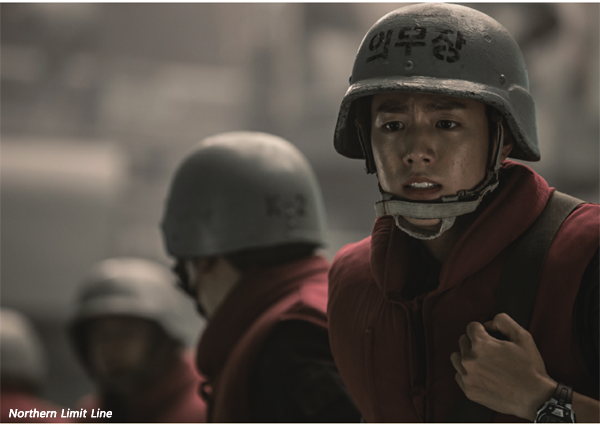 KIM wanted to make Northern Limit Line, the film that based on a true battle between South and North Korea, a film that can satisfy both the audience and the military. Before KIM’s Northern Limit Line, two well-known directors tried to make movies based on the same battle. Here, KIM emphasizes the importance of trust. To keep up such ethics and trust, KIM and ROSETTA CINEAMA are preparing a meaningful project that is mainly about launching a foundation for the victims of the naval battle, and more widely, for the entire army. For that, they are planning a program with which soldiers with trauma can get counseling services as well as some practical support. The fund will come from the profit that Northern Limit Line made, and additional finance will be brought in, in association with the Ministry of National Defense. It also reflects KIM’s philosophy that filmmakers should also stick to work ethics and virtues with firm commitment. It took a very long time for KIM to bring his two films to light. Now he says that he wants to keep making films once every two or three years. He is also currently developing some ideas. First of all, he is planning a film about comfort women, but carefully, trying not to lose universality. His plan is to co-operate with filmmakers from the US and China. Now that KIM has experienced the power of sympathy from the audience with Northern Limit Line, he is now making a speedy progress for next steps.